A Beautiful Day! Indeed to a beautiful family! Going on family bike rides is one of my fav things....too bad we don't make time to go more often. Ya'll look great!!! What fun! 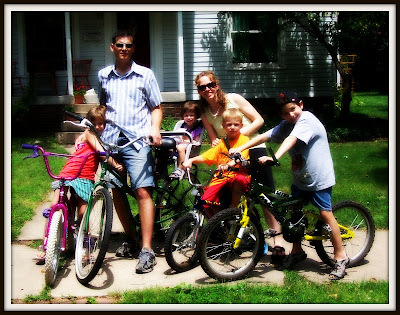 I can't wait to be able to go on a bike ride with my family. Love you! Hey! I took that picture! And it is a good one . . . amazing. Maybe I will borrow Nooni's camera on permanent loan . . .